Leading a delegation of Dawoodi Bohra community members from across East Africa, His Holiness Dr Syedna Mufaddal SaifuddinTUS called on the President of Uganda, His Excellency Yoweri K. Museveni at State House Entebbe. In a warm and friendly interaction between friends, the President conversed with His Holiness and the community members at length, welcoming them to Uganda, a country renowned for its natural beauty and captivating climatic conditions. ‘His Holiness Dr Syedna Mufaddal Saifuddin, leader of the Dawoodi Bohra Community, called on me today at State House Entebbe. I thank him for visiting our country. I also thank the Bohra community for offering to refurbish Gombe Hospital. I am impressed by the fact that the Bohra faith emphasises wealth creation through trade. The Bible says we shall know them by their fruits. This means a holy person is known not just by words but deeds. By fulfilling their faith through trade and wealth creation, one could actually say the Bohra are practicing Christianity. Uganda is also a great tourism destination. We have fantastic weather, considering that we are right on the Equator but with a high altitude. This is unique. The only other places gifted this way are Ecuador and Nanyuki in Kenya. 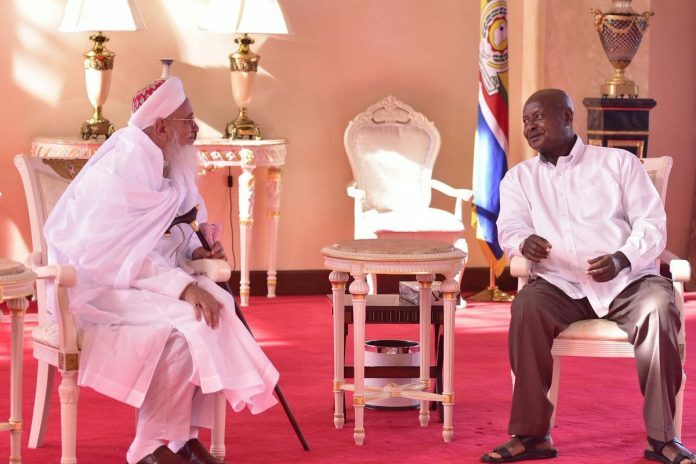 In addition to this invitation, President Museveni also urged Bohras to increase their investment in the country. He ensured the attendees that Uganda was a thriving business environment with available markets, ample electricity and cheap transportation. His Holiness TUS congratulated President Museveni on the progress made by Uganda under his administration and prayed for the continued betterment of the country and her people. The Dawoodi Bohra community in Uganda is a relatively small and recent settlement when compared with the larger more established settlements in Kenya and Tanzania. Despite this, the community in Uganda has grown considerably in the past few years, boasting an exquisitely designed masjid and community centre in Kampala which were inaugurated by His Holiness TUS during his visit. The masjid is a particularly picturesque spot, atop a hill overlooking a lake.